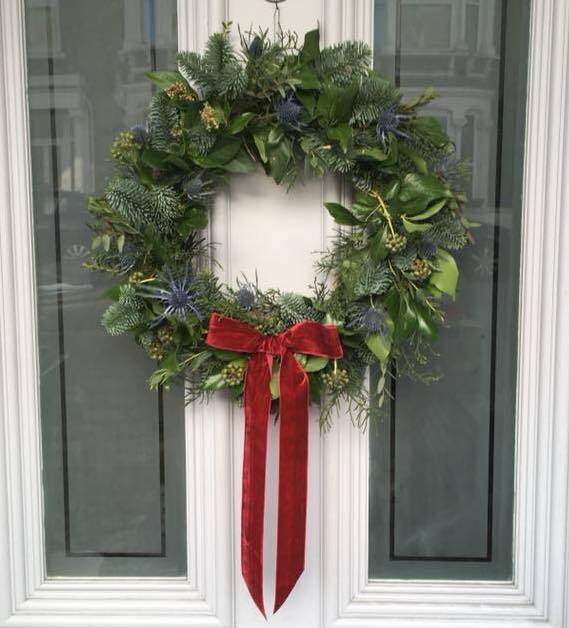 All equipment and materials are provided, and you can decorate your wreath however you like! 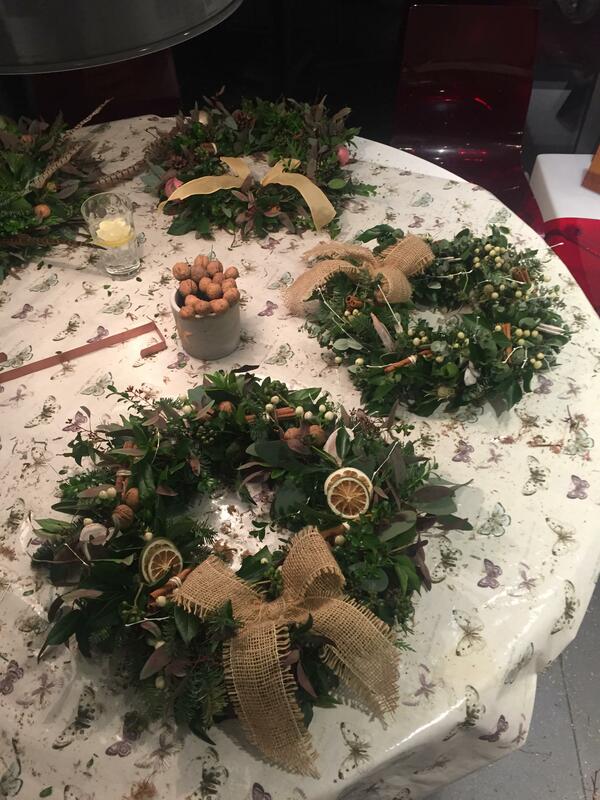 A two hour wreath-making workshop at ‘More Tea, Vicar?’ in Challock. 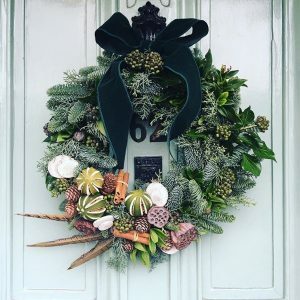 Create a beautiful Christmas wreath from scratch using a traditional mossing technique, finished with seasonal foliage and decorations. No experience necessary; all materials & equipment provided. Tea, coffee, and mince pies included! 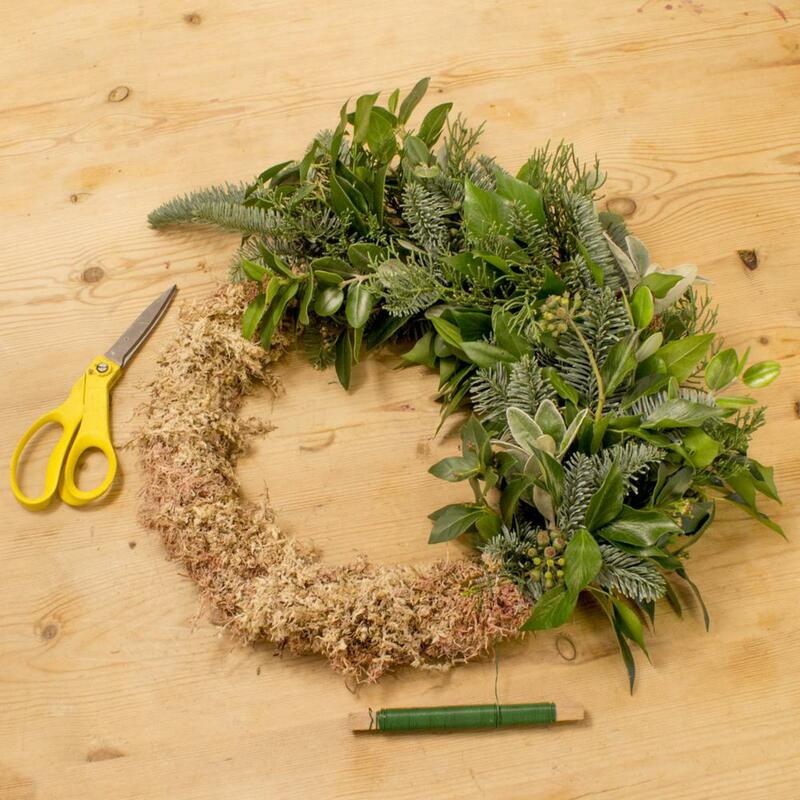 During a relaxed two-hour workshop at ‘More Tea Vicar?’, in Challock, I shall demonstrate how to make a traditional mossed wreath, step-by-step. Everyone will make their own as we go along, with as much or as little support from me as you need. You will come away with a beautiful creation to hang on your door! 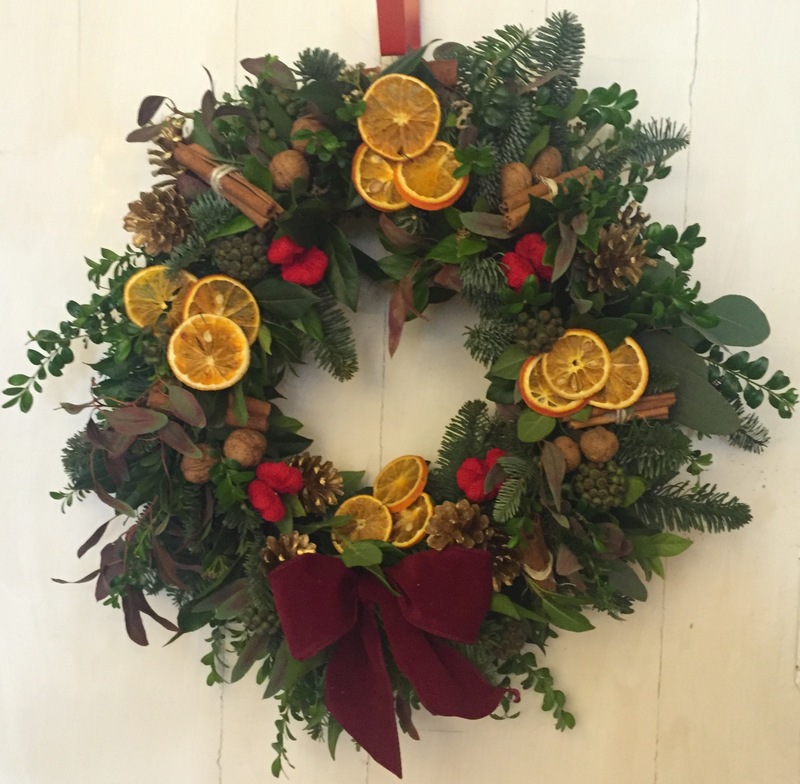 Come and create a beautiful natural Christmas wreath in the very beautiful setting of Crossways, in the Kent countryside near Sissinghurst. 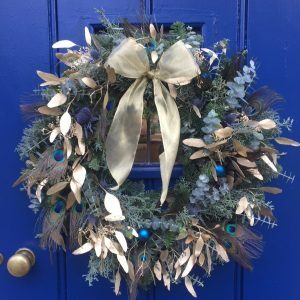 We will be making traditional foliage wreaths from scratch using moss and copper rings, finishing them with seasonal foliage and then adorning them with dried fruits, ribbons and other Christmassy decorations. We’ll have a break for tea or coffee and home-made mince pies. This is a really therapeutic activity and as well as learning a new skill, at the end you will have something special to take away with you! We would recommend Lucy to anyone who would like to add an extra touch of class to their event. Our wedding flowers were stunning. In the lead up to our wedding, we were pleasantly surprised by how much thought and attention to detail Lucy was putting into our day. Her creativity, enthusiasm and professionalism were above and beyond what we expected.